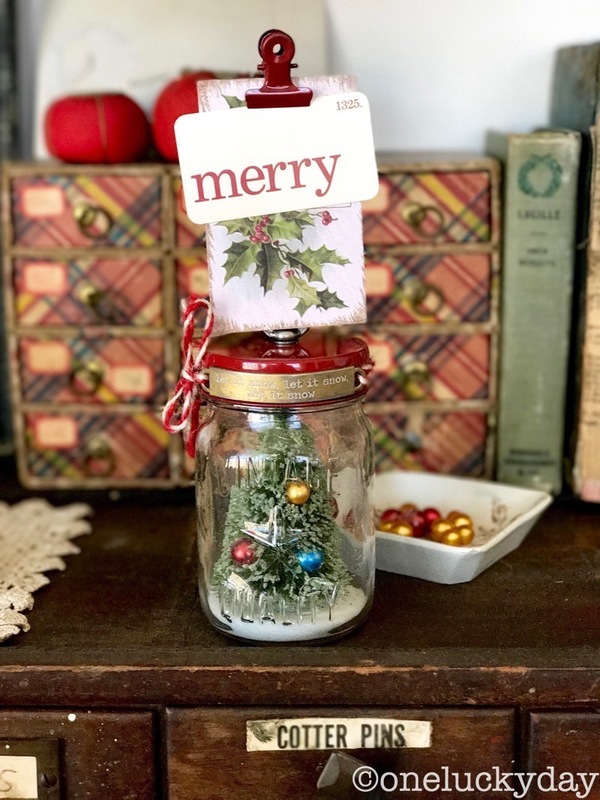 Glad to be back here on the blog to share an easy Christmas project using the Mini Mason Jar from idea-ology. I am sure you have seen these before, but I'm hoping to put a spin on it with a classic Christmas die and a few cans of spray paint. First you need a Mini Mason Jar. They come in a set of three so it's easy to make multiples for gifts. 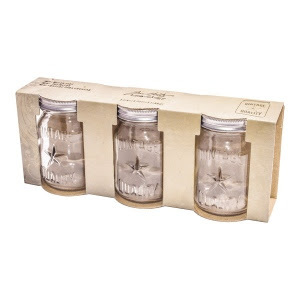 I added the Mini Mason Jar Photo Clip kit to each jar. That means I removed the lid that comes with the jar and added this one to it. I spray painted the lid and clip with a red spray paint for this traditional themed jar. I believe I found the perfect color red for the lid of the jar. 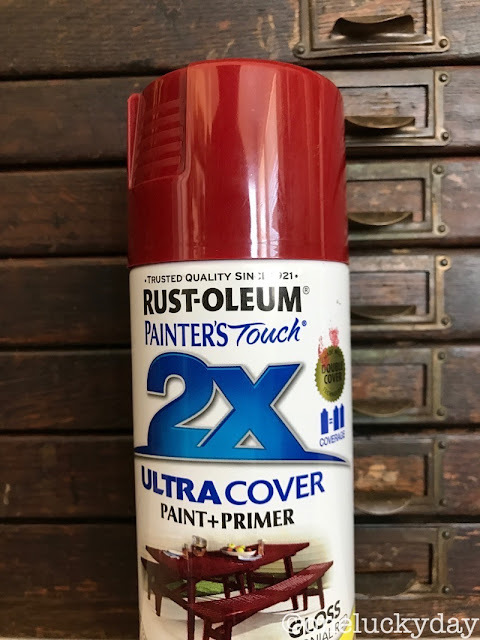 It is RUST-OLEUM in Colonial Red GLOSS. 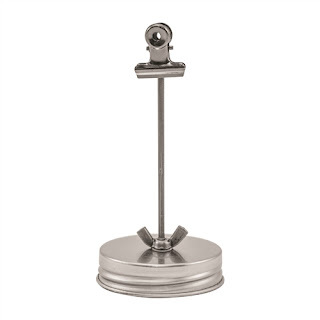 I purchased this can from Home Depot but I am sure they have it at other hardware stores. It takes longer to dry than standard spray paints (maybe because of the gloss finish? )...in about 20 minutes you can pick the lid up, but an hour to really handle them. The instructions say it cures in 24 hours, which I found to be true. Once dry, it looks and feels like a lacquer finish. I also added Gold Alcohol Ink to the Word Band before coloring the text with Picket Fence Distress Crayon. I bet you're thinking, how did you bend the Word Band? Easy. I used Bending Pliers that can be found on Amazon. 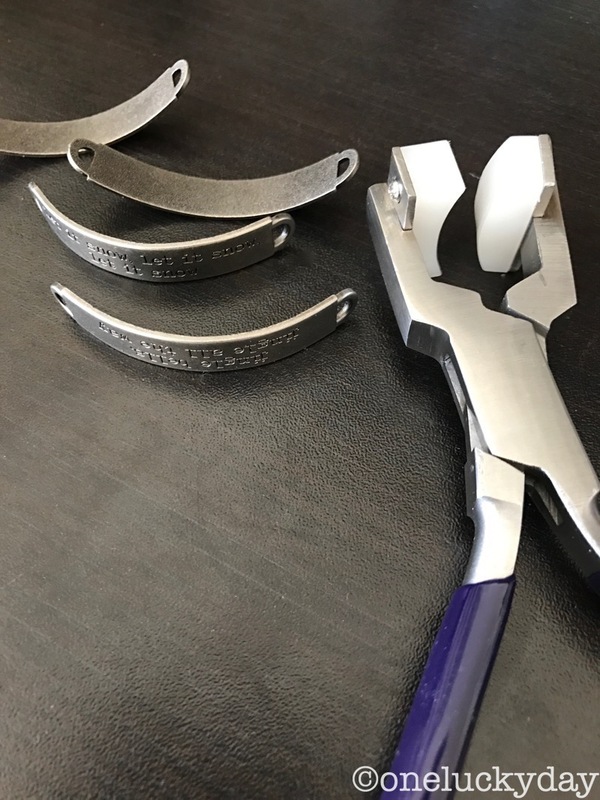 The pliers are about $15 depending on brand. There are also differences in how much they curve the metal. I believe this pair would be considered a "gentle curve" so I did have to work at it a bit to get the curve to fit around the lid. All in all, the tool make the bending easy work. Just don't try to bend 40 in one night like I did. Let's just say my grip took a couple days of rest to recover! I used large trees from Tree Lot (bulk Woodland trees) - you get 5 trees in one package which again, makes creating multiples super easy. 1. Cut the tree to fit into the jar. You MUST use wire cutters to cut the steel center of the tree. 2. Spray with Distress Spray Stain. I tried all of the Distress green colors and I found three favorites depending on what look I was going for. Bundled Sage: my personal favorite - a softer green, beautiful mixed with platinum Stickles on the tips of the the tree. Peeled Paint: bright green (but not a true green like Mowed Lawn) - a good all around color for trees. 3. 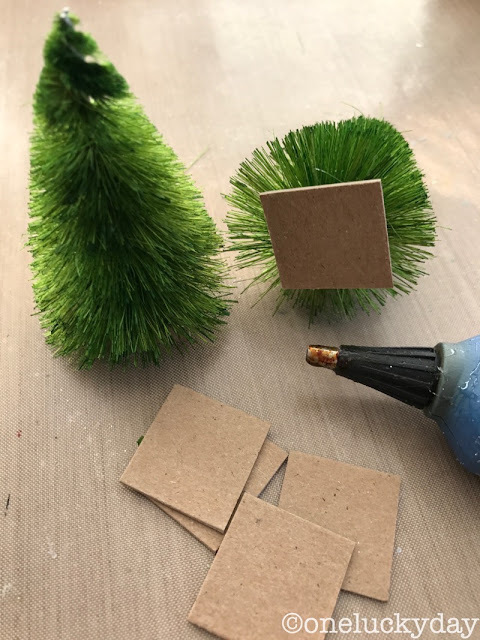 Add Collage Medium to the tips of the tree and roll in Clear Rock Candy. Let dry. 4. 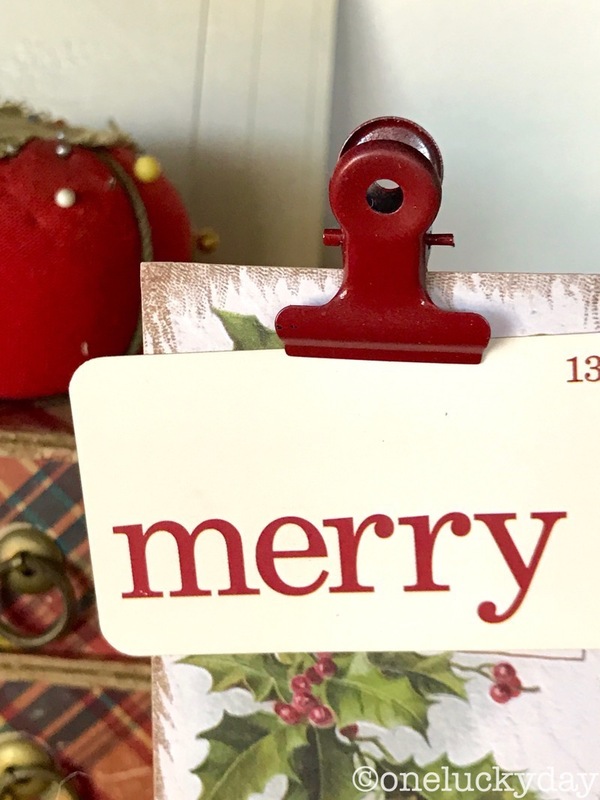 Use Glossy Accents to add colored Baubles into the tree. I used Baubles colored in Sailboat Blue, Red Pepper, and Butterscotch Alcohol Ink. 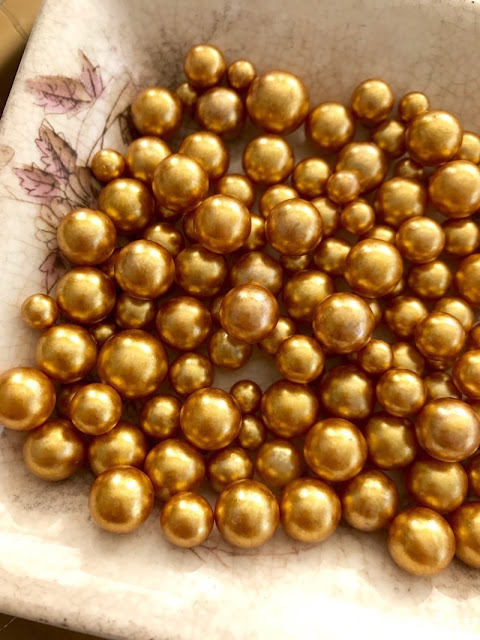 One might think that using Gold Mixative is the way to go when wanting gold ornaments but I beg to differ...Butterscotch and a tiny bit of Mushroom make for the most beautiful gold ornaments! 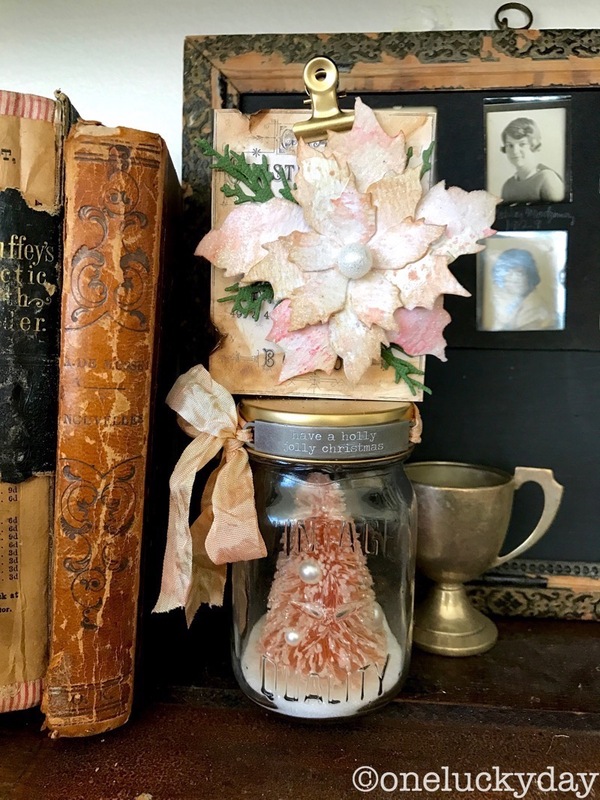 For a more feminine look, I used a totally different color story of Tattered Rose and Antique Linen. 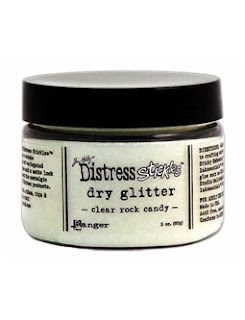 For this jar, I sprayed the tree Tattered Rose and rolled it in Clear Rock Candy. The Baubles for the tree ornaments were left just as they came in the package, a pretty pearl. 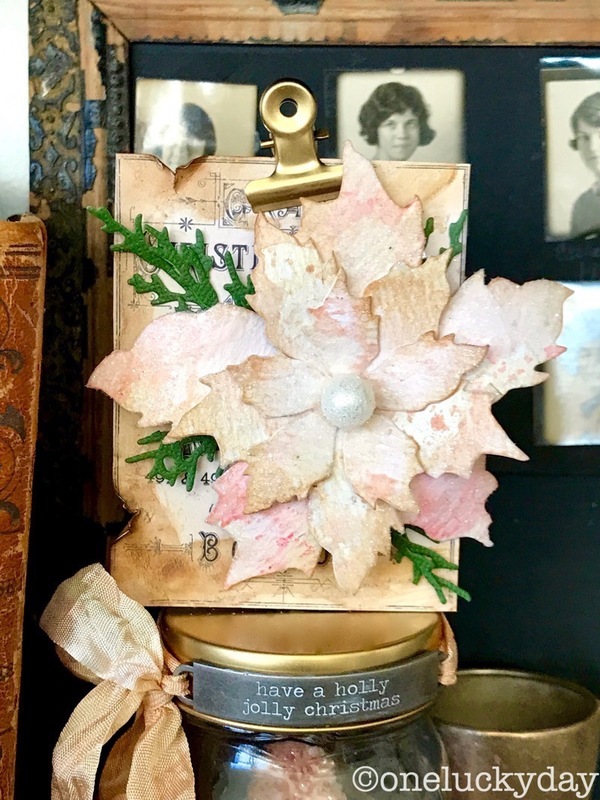 I used gold spray paint for the lid and hinge clip and then added a piece of ephemera from the Christmastime pack. The poinsettia is cut from Distress Watercolor paper using the Tattered Poinsettia die, another personal favorite. I dipped the pieces into Distress Ink Tattered Rose and Worn Lipstick (+ water) and let dry. Gathered Twigs Distress Ink was used to age the edges of the petals before layering the individual pieces to create the poinsettia. A Bauble works perfectly for the center of the flower! 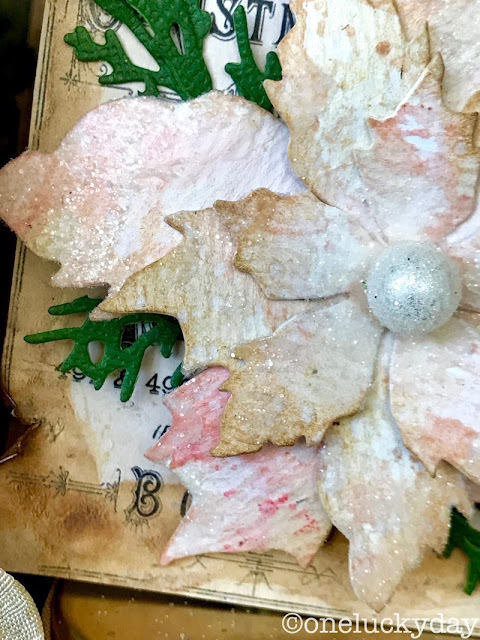 To give it a bit of sparkle, I added a thin layer of Collage Medium (with a small paintbrush) on the petals and over the Bauble and sprinkled it with Clear Rock Candy. The greenery was cut using the Holiday Greens die. I love how the Mini Mason Jar came out. I am always amazed at how a can of spray paint can really change something so plain into something special. That can of Colonial Red did just that! Then there is my all time favorite Christmas die, Tattered Poinsettia. No matter if you color is red, pink or something in between, it's beautiful. If you don't already own this one, I'd add it to your Christmas list! 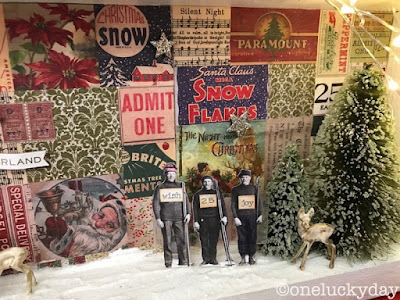 for the Tim Holtz Holiday Inspiration Series, you can see the full tutorial here. Absolutely gorgeous! I love the pink - so pretty! And I can do this. Thanks Paula. I do a small gift every year for the gals I work with and this is it for this year. You have the most wonderful ideas and such a eye for detail. Flapdangle...those are both gorgeous! I could also see the pale pink one being a turquoise color scheme to match some vintage ornaments I have in a holiday bowl on my table. 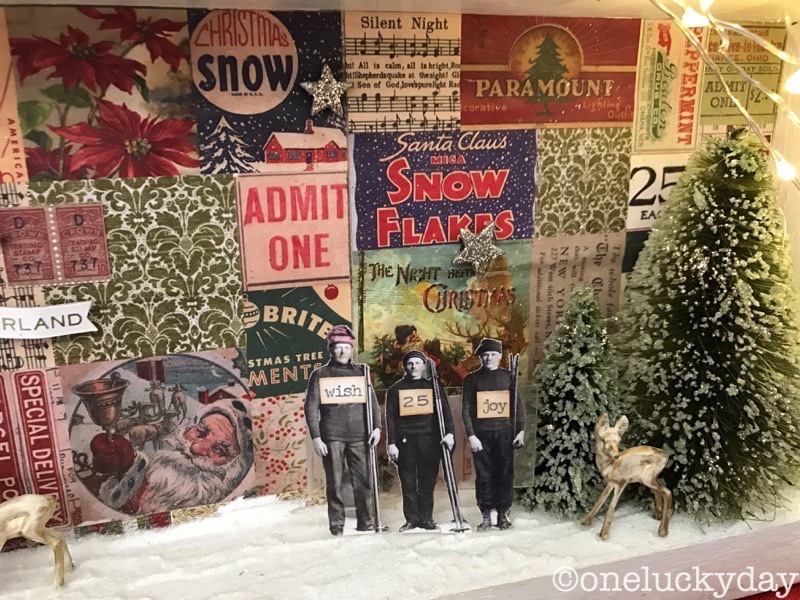 Thank you SOOO much for sharing your creativity! Fabulous Paula - did you use Rock Candy Glitter for the snow in the bottom of the jar? oh I love these!!!!!! Both color ways are so cool. Sorry I missed you last night, but I'll be there bright and early tomorrow! These are awesome! Good job picking the right spray paint, and thanks for the tip about bending pliers-- I did not know they existed! Such a gorgeous project. I love both color ways-each for their own features. 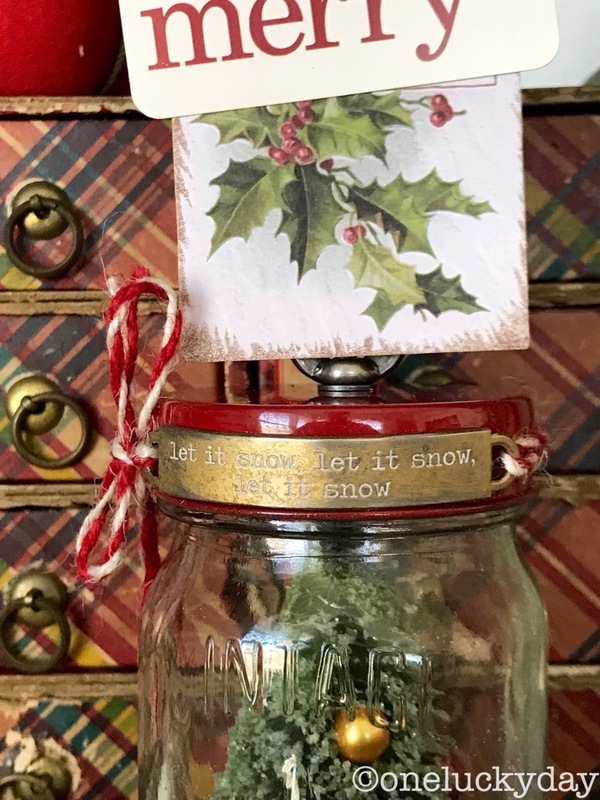 The red spray paint really adds such a special touch to the little jars and I LOVE the flashcards so much I never use them- hoarding them like a pro. You always color your trees making them so special. I made the red jar over the weekend and it turned out wonderfully. I also prepared the materials to make two more jars at a later time. Aside from trying to spray paint in 28 degree weather and continually snapping off the end tabs while bending the Christmas Word Bands, it went very well. I also need to refine my formula for butterscotch and mushroom alcohol inks to get that glorious gold color. Thanks for another great project. Just beautiful and I really love the nontraditional pink one! Thanks for sharing all the details!